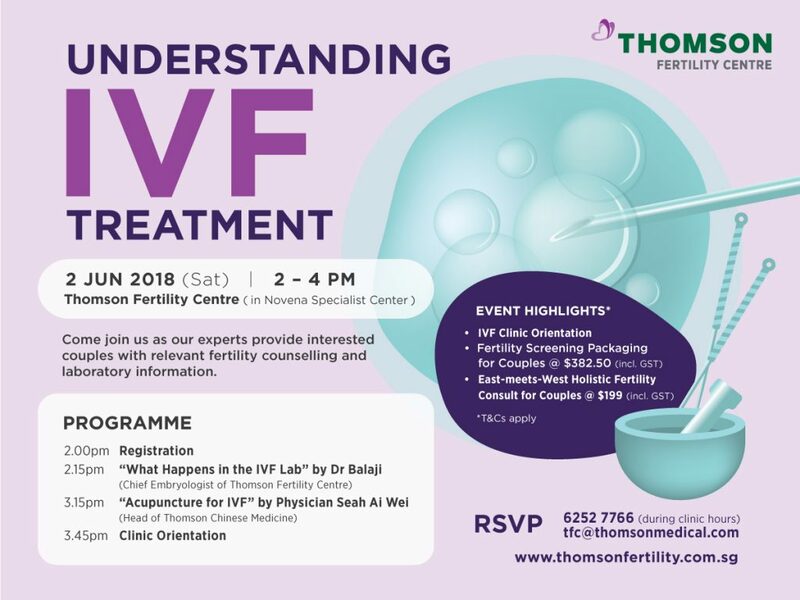 Join us for an afternoon as our experts from Thomson Fertility Centre and Thomson Chinese Medicine share on the science behind IVF and how TCM may aid fertility treatments. Note: Due to limited seating, registration will end when all seats are filled. Event may also be rescheduled if minimum attendance is not reached.